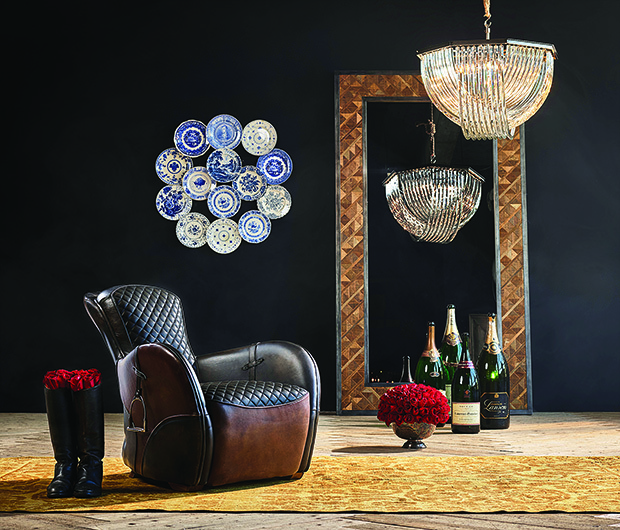 The Saddle Chair has a sleek, dynamic fiberglass frame and is upholstered in a range of leathers with cowhide accents on the front and back. It is paired with the Crossglass Pendant Hanging Light and Vestige Industrial Mirror which is handcrafted from offcuts of genuine reclaimed English timber. 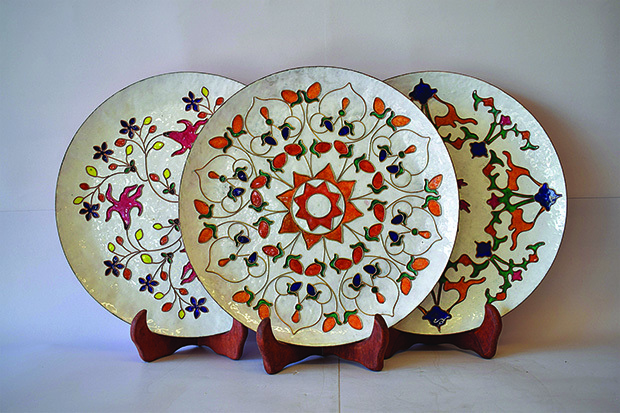 The beautiful and meticulously crafted Taj Mahal marble inlay work inspired copper enamel wall plates follow a comprehensive process using glass powder colours and copper wire. The Multi-hued Floor Lamp uses fabric, paint and metal in its creation. 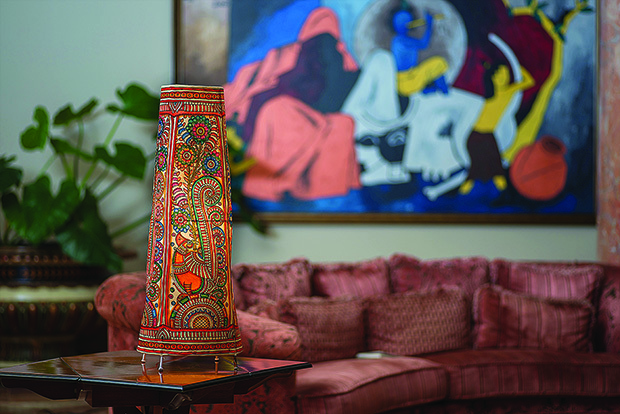 With carefully stitched leather as the base and precise detailing completing its appearance, it showcases an interesting mix of culture, tradition, glamour, and style. 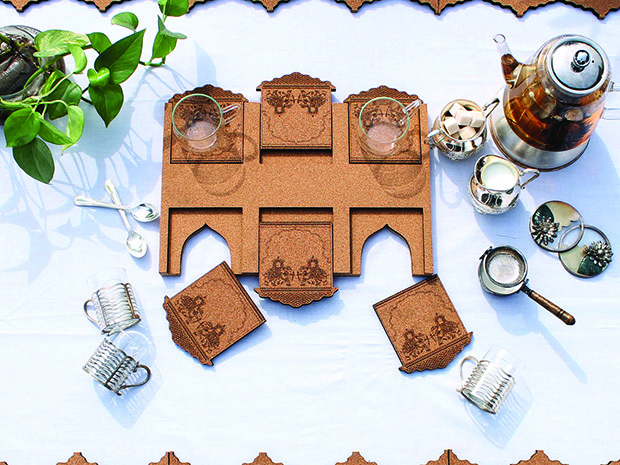 Meharaab Tea Tray comes with a set of six built-in coasters that are easily detachable. The tray can be used as a whole or as individual saucers. 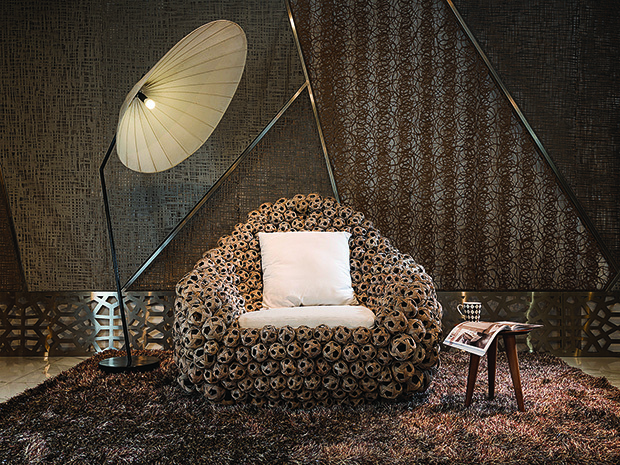 Designed by Amit Sawhney, the Bubble Chair is made from irregular circles that are combined, hand-forged in mild steel and covered in beautiful natural wicker. 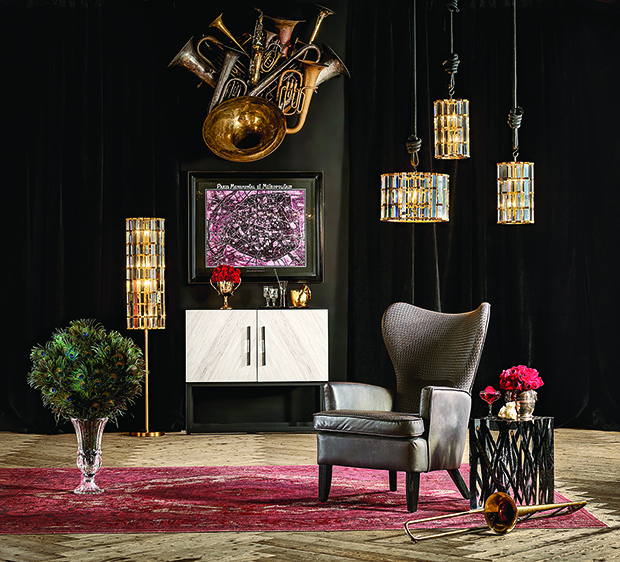 Symphony features machine-cut tubes adorned with a brass nano coating finish. 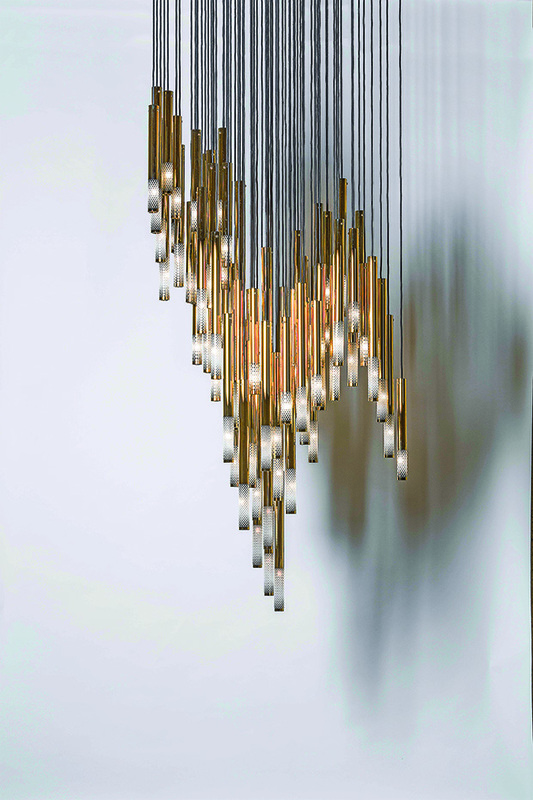 The diamond pattern is imbued with a delicate golden gradient that crowns the entire chandelier. and has walnut wood hands. 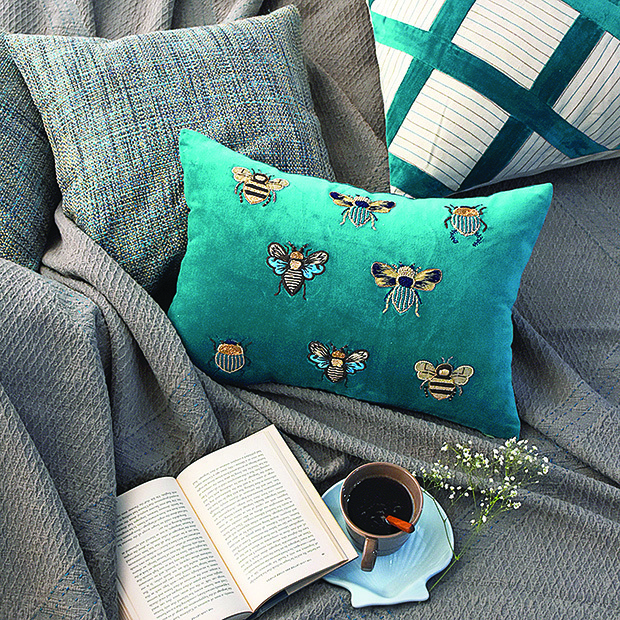 The pretty Bumble Bee Bedding Collection has intricate design details inspired by nature in a palette of blues, fresh greens, neutral greys and soothing browns. The range features a variety of bedspreads, shams and cushions made from cotton and linen with plush velvet finishes and hand-embroidery. 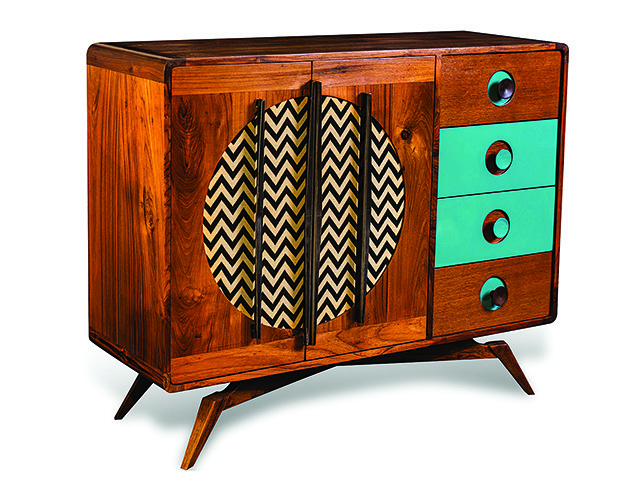 The Saab audio-video unit is crafted from reclaimed teak in natural polish, and champions minimalist design with angular lines and chamfered edges, which also keeps the equipment ventilated. 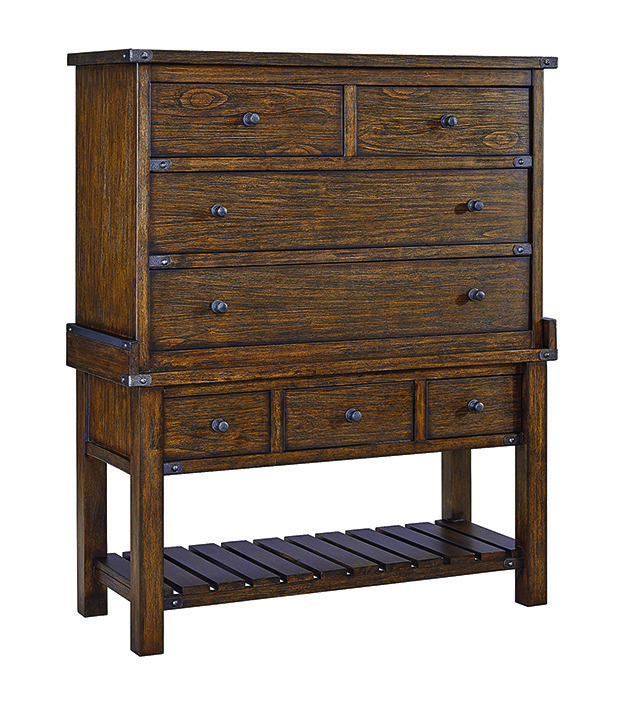 Three drawers of varying sizes offer ample storage. 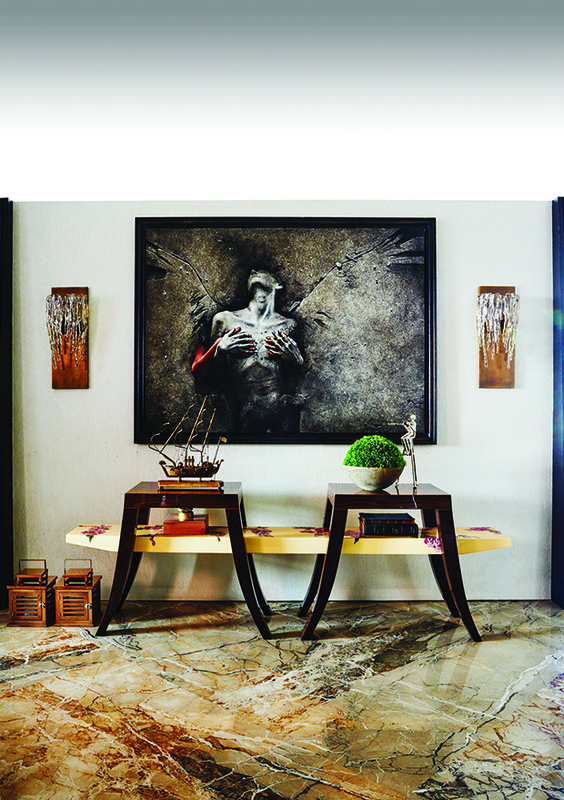 The Spur Small Side Table is made from driftwood (collected from beaches around the world) and is juxtaposed with acrylic. Also seen is the Butterfly Mk2 Sideboard with doors handcrafted from a single sheet of Italian marble in a honeycomb structure. 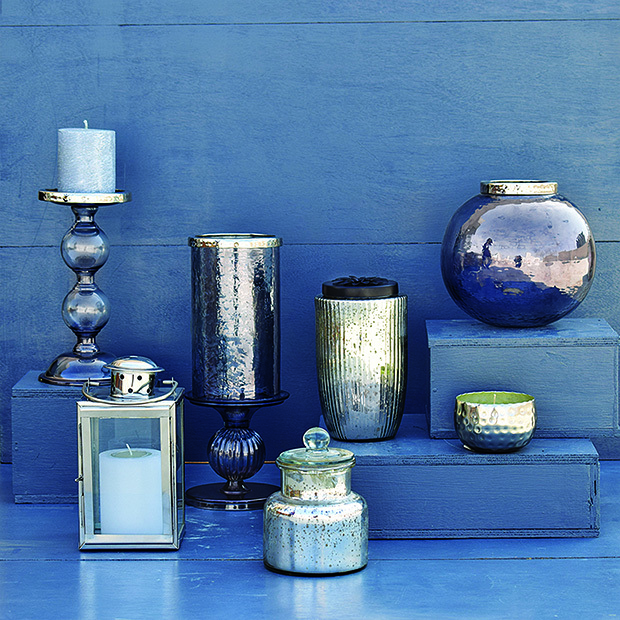 An ensemble of handmade antique silver glass jar, candle holders and lanterns would make for a glamorous addition to any table. 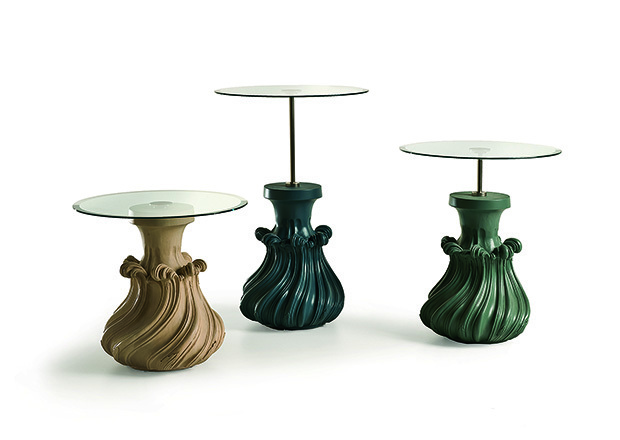 Add a twist to the boring corners of your adobe with these tables from Fratelli Boffi. 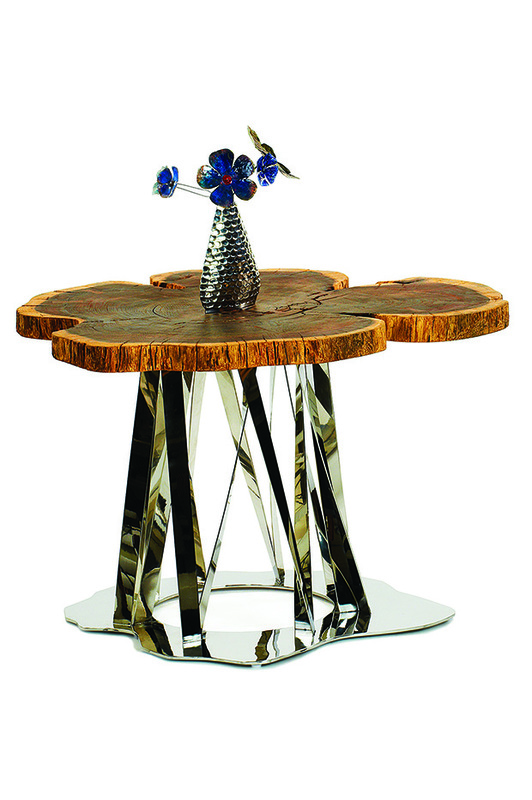 Designed with premium quality of solid wood and glass top, the table’s stand depicts the perfect swirl. The Daydreamer sculpture, made from stoneware clay, is an artistic reminder that it pays to think big. Place it in your study for some Monday motivation. 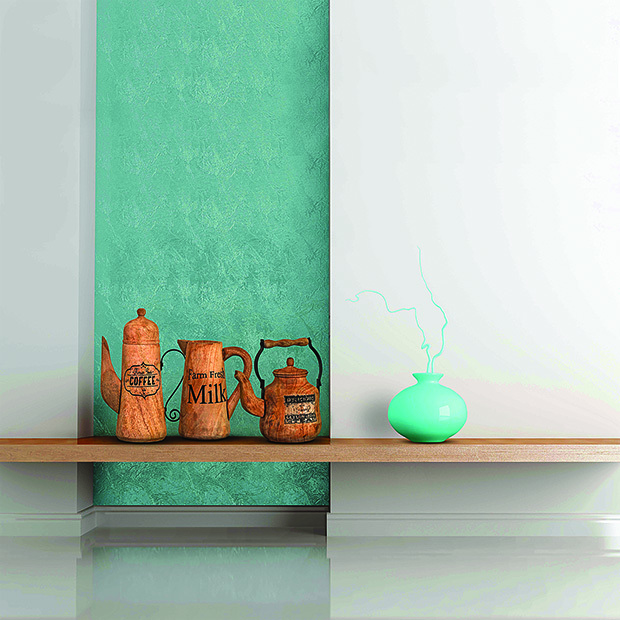 The new furnishing collection showcases a playful combination of colours and textures. 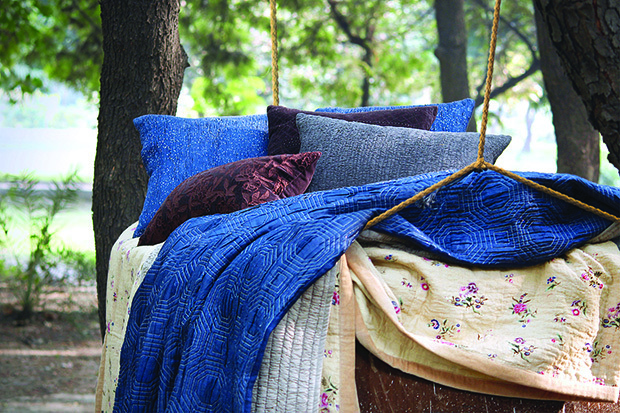 The silk and cotton bedcover in lapiz blue is contrasted with a quilt in velvet featuring a floral print. 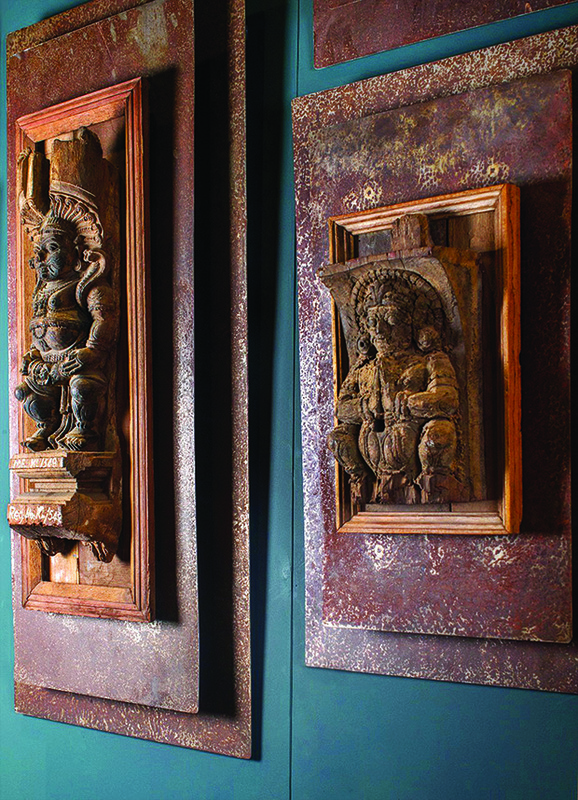 The cushions are in charcoal and embroidered in zari and silk cutwork. 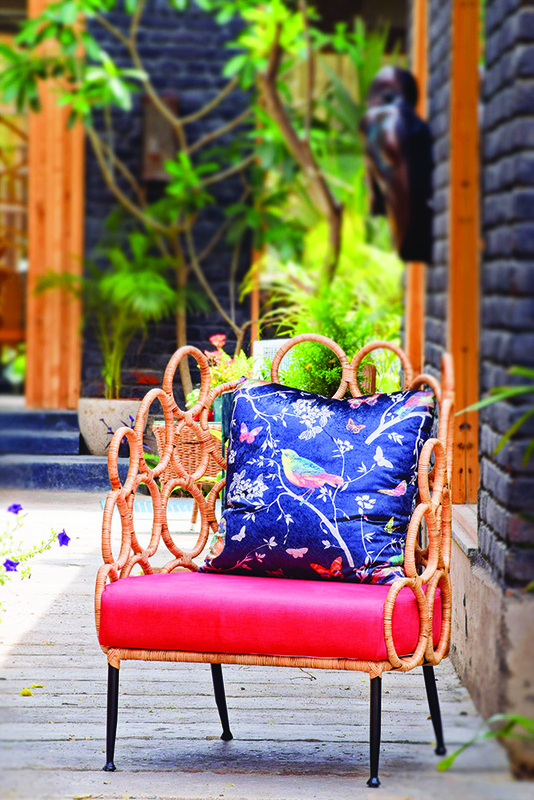 Crafted with natural Havana rope with soft cushioned seating, this Popcorn chair is a piece of functional art. Its design rendition of a popped kernel of corn makes a quirky statement. Add a quirky twist to your tea parties or get together with these Unlimited Refills Wooden Decor pieces which come in a set of three. This gorgeous handmade Gingham bench belongs to the Series of Figments collection. 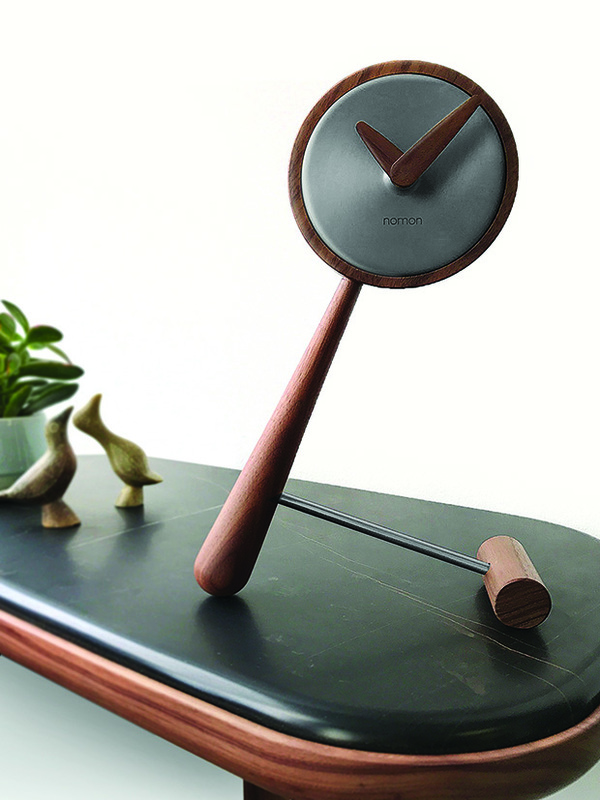 It is crafted from mild steel in a Duco finish with a beautiful cane weave and Calcecruda top. Relax on this long chair as you watch the sun set from your patio. 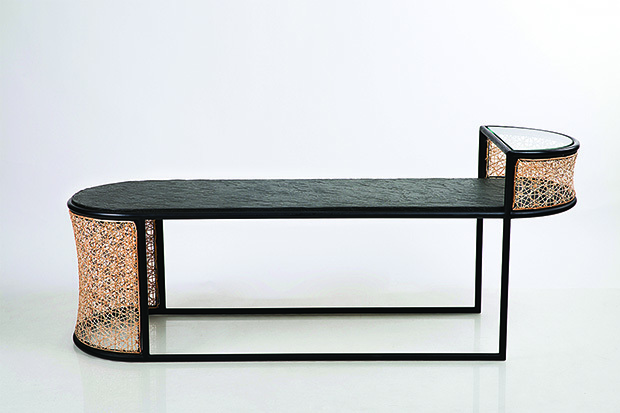 It comes with a side table and is made from aluminium and covered with woven synthetic fibre. 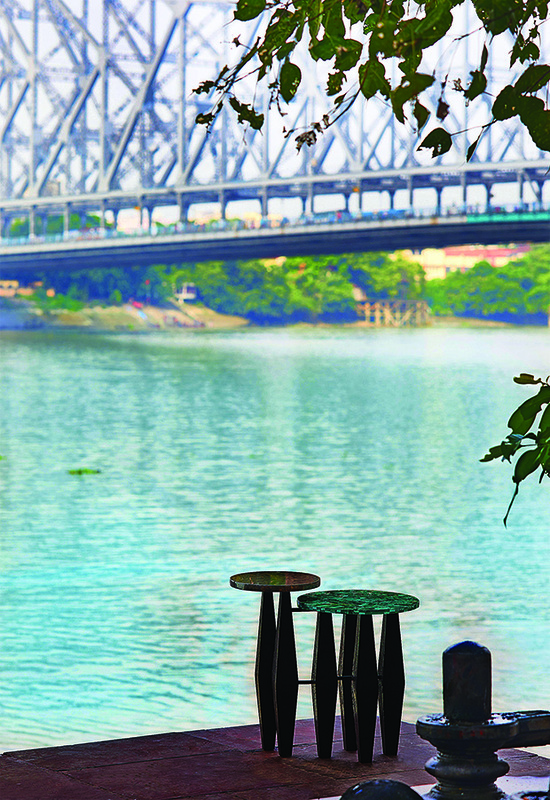 Geometry-inspired Twin Peg tables are crafted from solid teak wood with open pore matte finish. While one of the tables top is clad in burl veneer, the other dons a malachite. A slab of reclaimed wood has been paired with high shine stainless steel to give this centre table a warm yet contemporary look and feel. 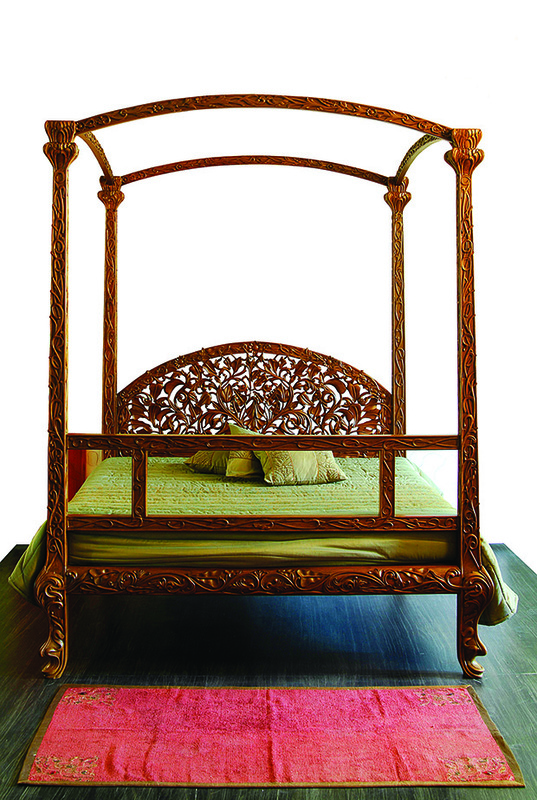 This bed, made from solid Burma teak, will add a sense of gravitas to your bedroom with its stately frame and intricate design detailing. 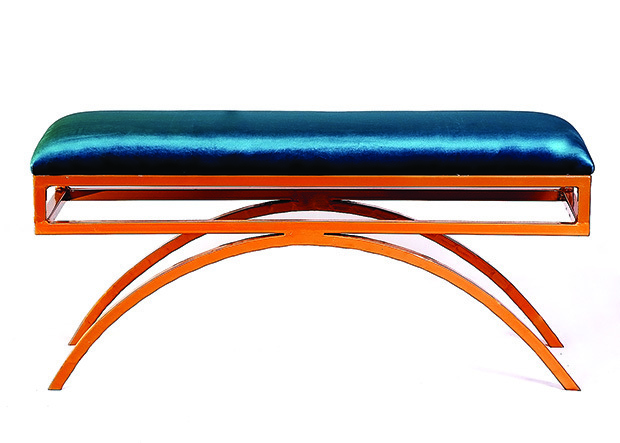 This Ollie Arc Bench is a glamorous piece of furniture for your living space. It features a sturdy iron base in gold powder coating along with plush velvet fabric. 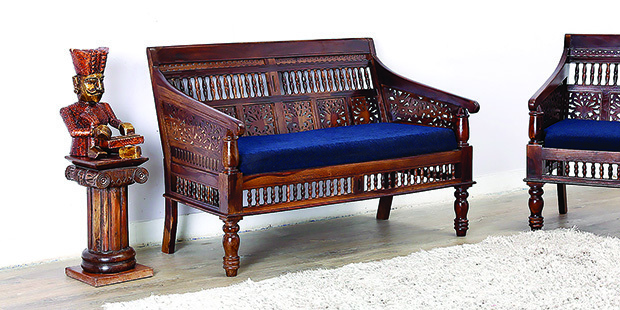 Taksh Handcrafted Solid Wood Two Seater Sofa from brand Mudramark is made from sheesham wood and dons a striking shade of provincial teak. 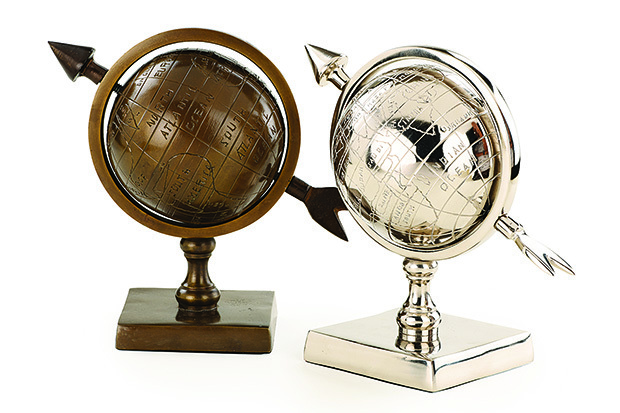 These globes are made from antique brass and nickel. 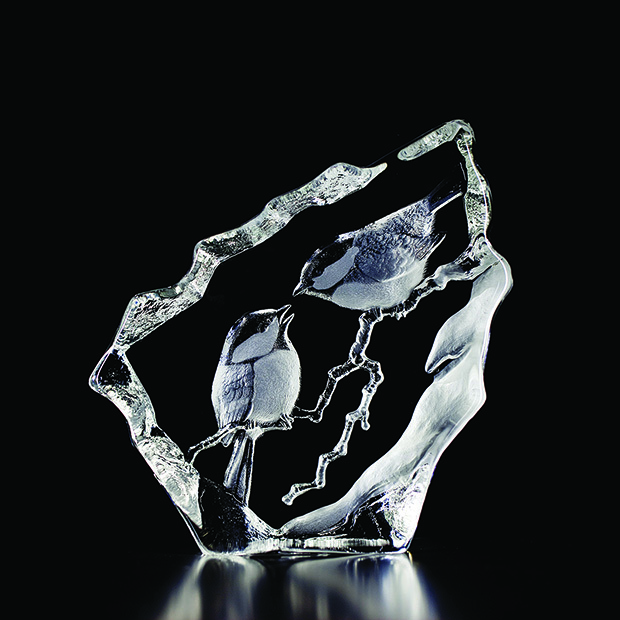 Place them in your study or living area to remind you of adventures you’ve embarked upon and those yet to come. 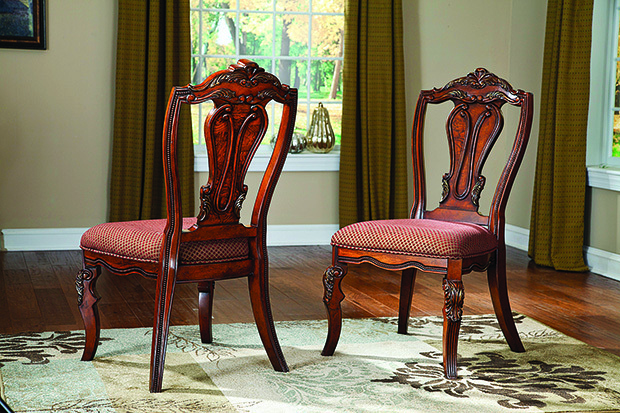 This series of Dining Upholstered Side Chairs are from the Ledelle-Brown Collection. Made from ash swirl and birch veneer with Asian hardwoods and a dark cherry stain, they will be a chic addition to your dining room no matter the style of decor. 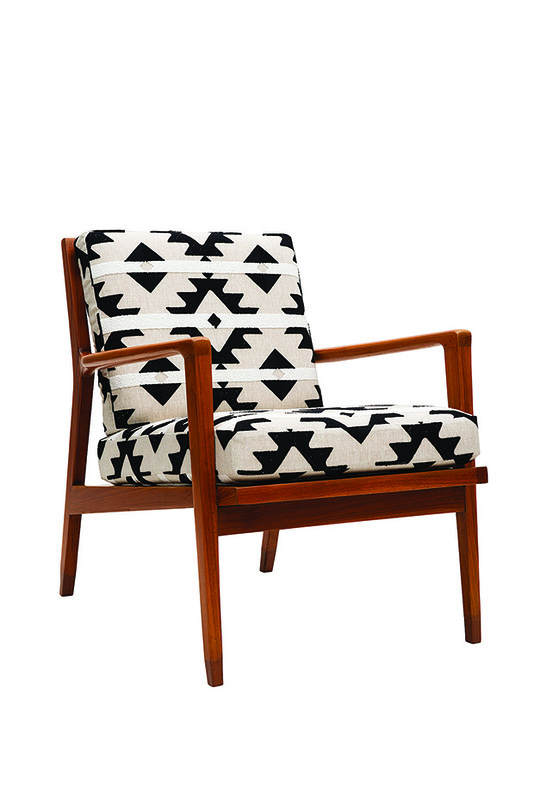 The Dunbar sofa and armchair borrow their sleek frame from the 1960s design style. 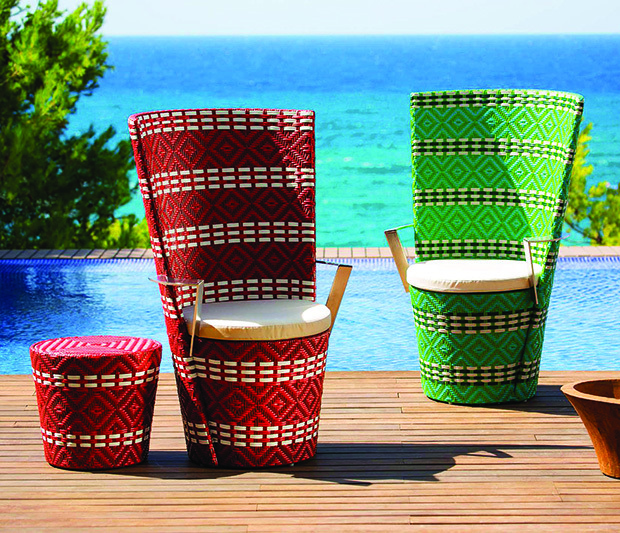 They are available in natural teak polish with over 42 fabric options to choose from. 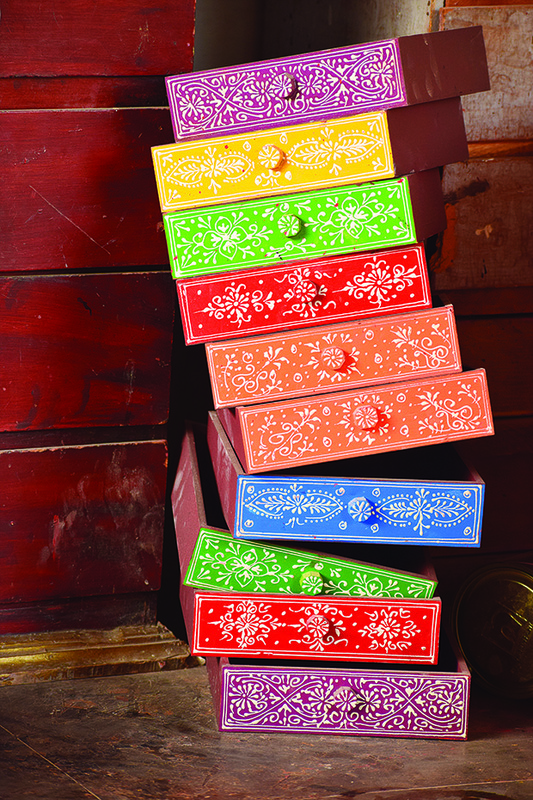 These colourful wooden trays showcase the dying art of Kishangarh Shaili — a distinctive fine painting style created by artist Nihal Chand which surfaced in the mid-18th century, under the patronage of Maharaja Sawant Singh. 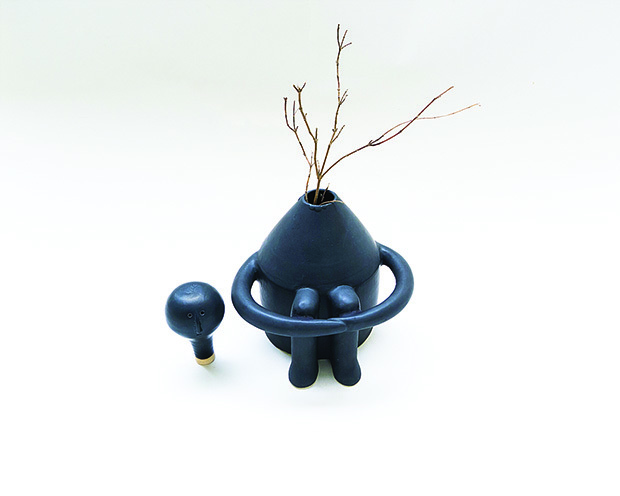 Misplaced Hope is a two-piece sculpture, crafted from stoneware clay, which embodies the fragility of hope. Showcasing influences from the radiogram, the Short Wave storage unit is fashioned from reclaimed teak with Duco paint and natural polish. 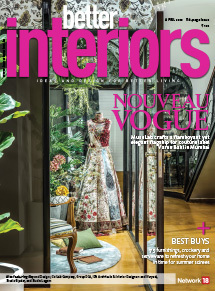 The fabric-covered door mimics a speaker, the metal grill functions as a door handle and the clever construction allows for a thin rounded edge. 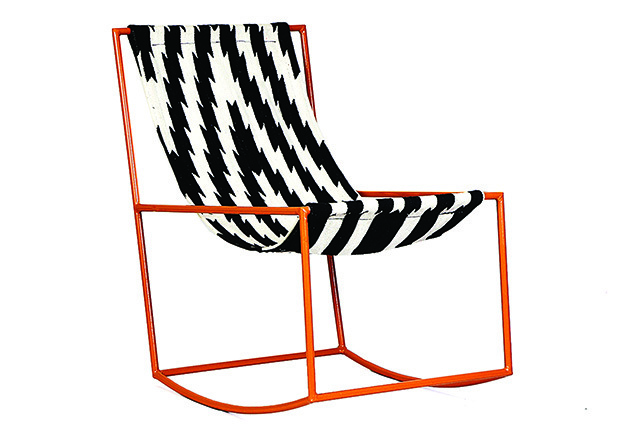 Contemporary yet laidback in design, the Aztec Kilim Rocking Chair comprises a neat metal frame and hand-woven kilim fabric. The striking Ripe Grape Bedding Collection offers a variety of bedspreads, shams and cushions made of cotton, linen with plush velvet finishes and hand-embroidered details. This smart storage unit comes in with straight lined design and is equipped with drawers of multiple sizes. 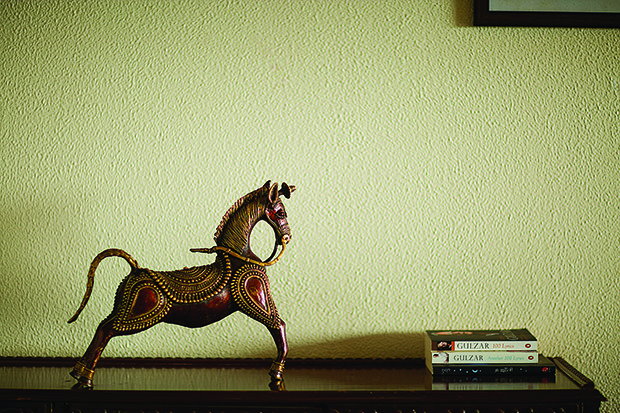 With intricate tribal patterns based on a bead-and-seed motif encircling an ornate centre adorning its saddle, this Dokra art Robust Horse Decorative in bell metal will go places. 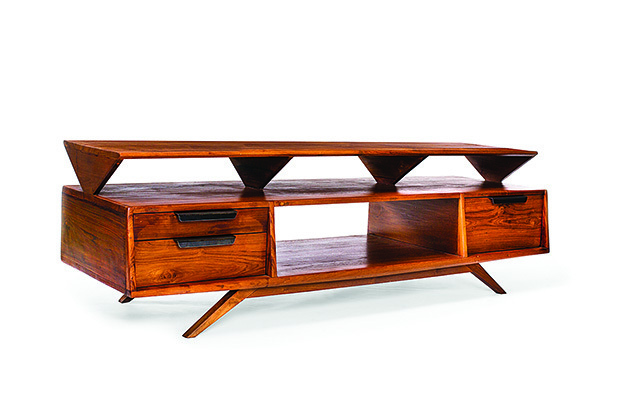 The Twin Console features oak veneer in either matte or high gloss. 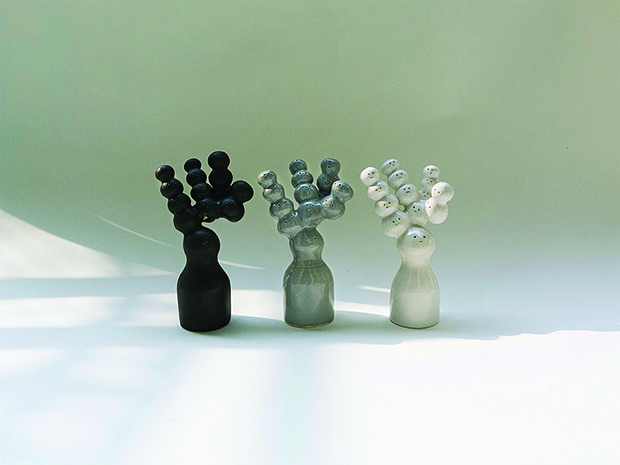 They are linked by a horizontal, white-lacquer porcelain-finish member bedecked with handpainted spring flowers. Use it either as a console or a beautiful divider. The Ludwig Chair is made from walnut wood with matte melamine finish. 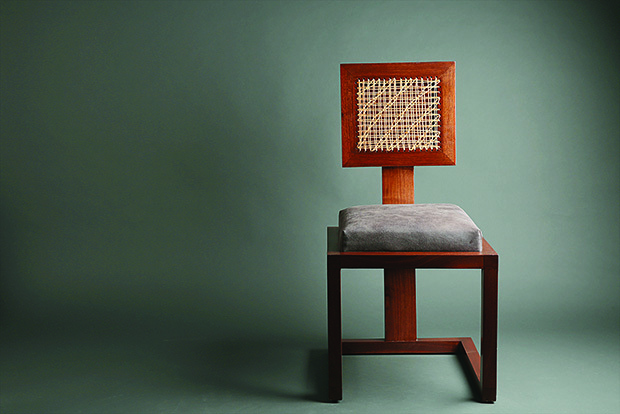 Its back is handcrafted with a cane weave, and a seat upholstered in suede.